Glantreo have been producing mesoporous silica for over 10 years. 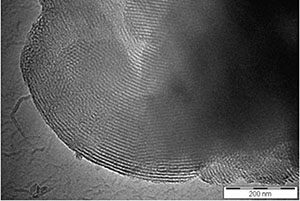 The types of mesoporous silica available are varied ranging from SBA type 15 & 16 to MCM type 41 &48. Additionally, a range of particle and pore sizes are available along with versions impregnated with inorganic oxides such as Ti & Al.